So many nice looking brushes! Every one is a beauty! 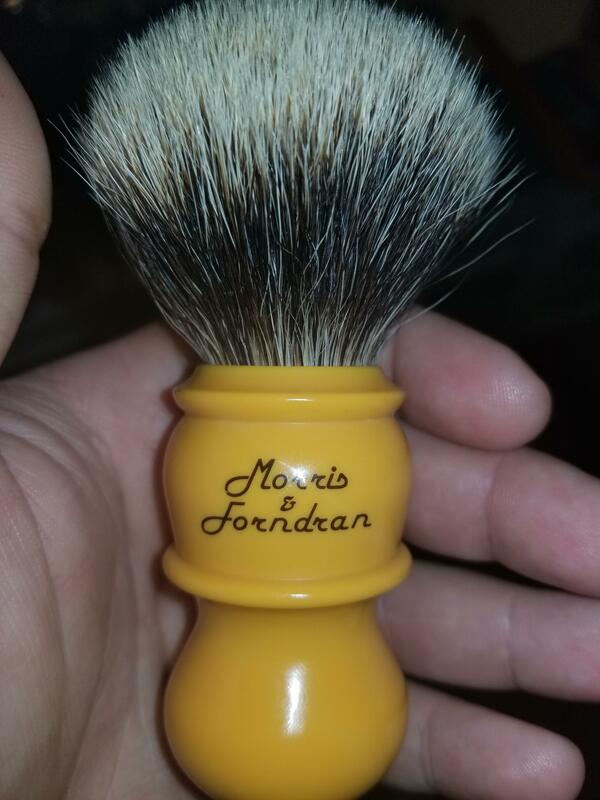 My most recent M&F acquisition, and wow is this thing a treat! Tips are *incredibly* soft, and I just love the handle color. This is a 100% Sabini-produced beauty. The top of the writing on the obverse is wearing a bit at the top, when the time comes I'll likely get it touched up by Lee/Brad. The knot itself, apart from being chinchilla-soft, is perfectly springy! Meaning it doesn't need extreme density, so it has great flow through. 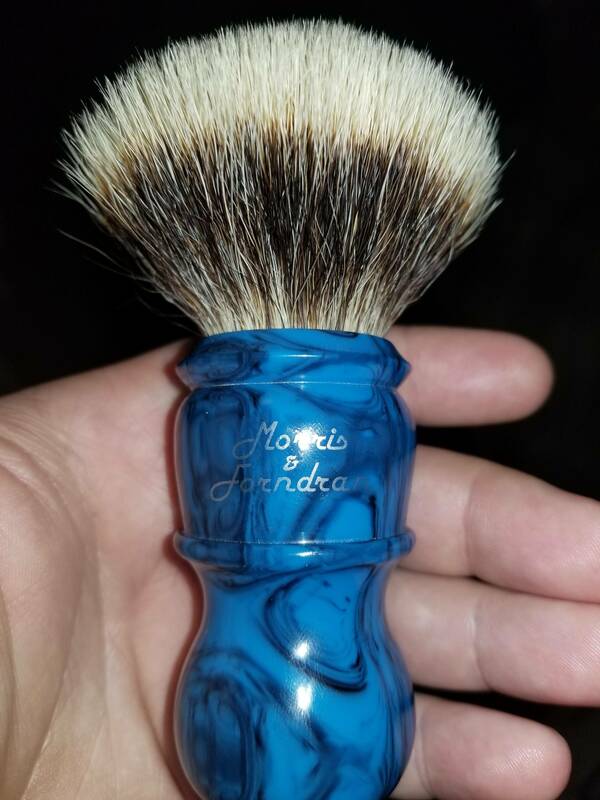 (02-15-2019, 10:57 AM)GnosticShaver Wrote: My most recent M&F acquisition, and wow is this thing a treat! 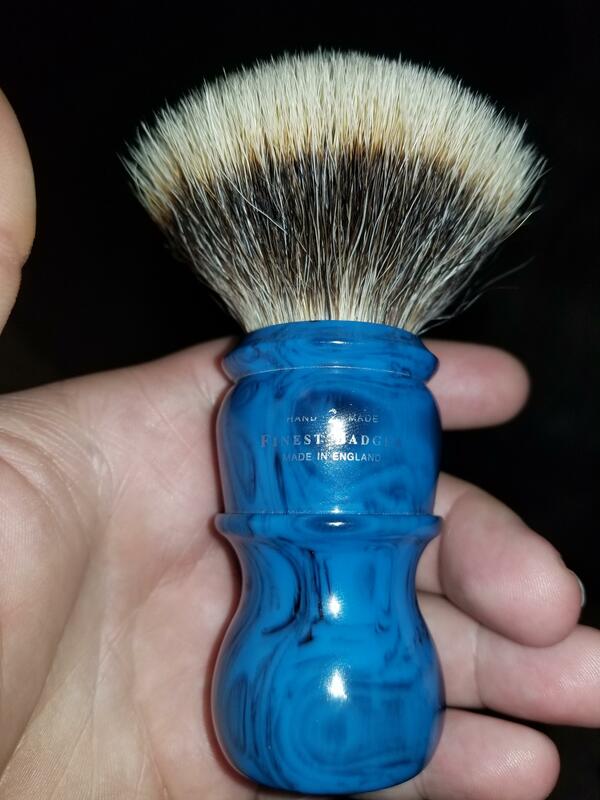 Tips are *incredibly* soft, and I just love the handle color. This is a 100% Sabini-produced beauty. That's a great catch! Lee didn't make many L7's in Cobalt. Enjoy!!! I have a few Lee’ and a few from the Sabini/Sears collaboration. This one is my favorite! Lee’s knot +Brad’s handle. Heres one I just picked up off the auction site we all hate to love. 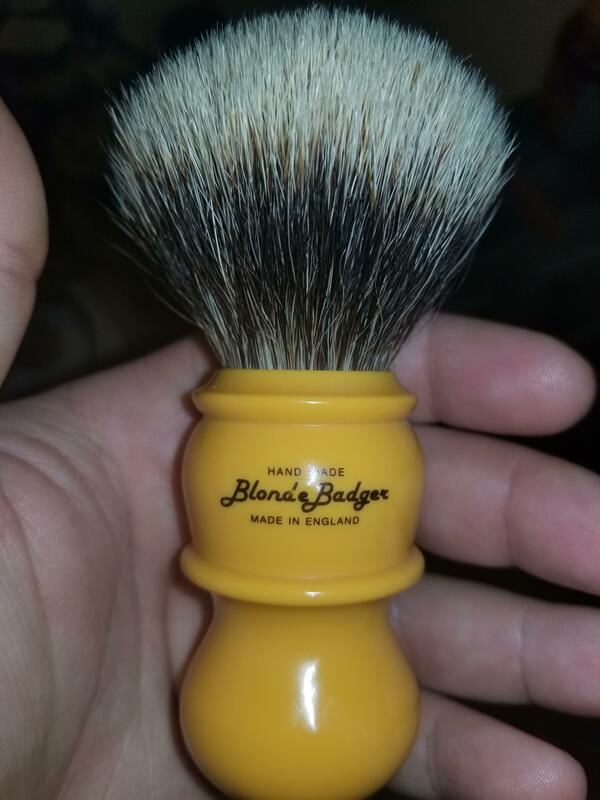 Blonde badger knot in genuine horn handle. I didn't really anticipate purchasing it, but glad I did. The shine is from a fresh application of neatsfoot oil. 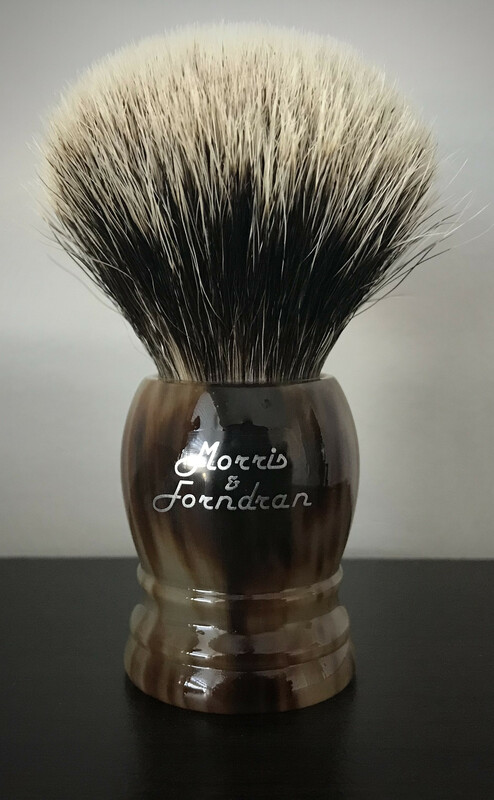 It really brings out the grain of the natural horn, which is hard to appreciate otherwise. 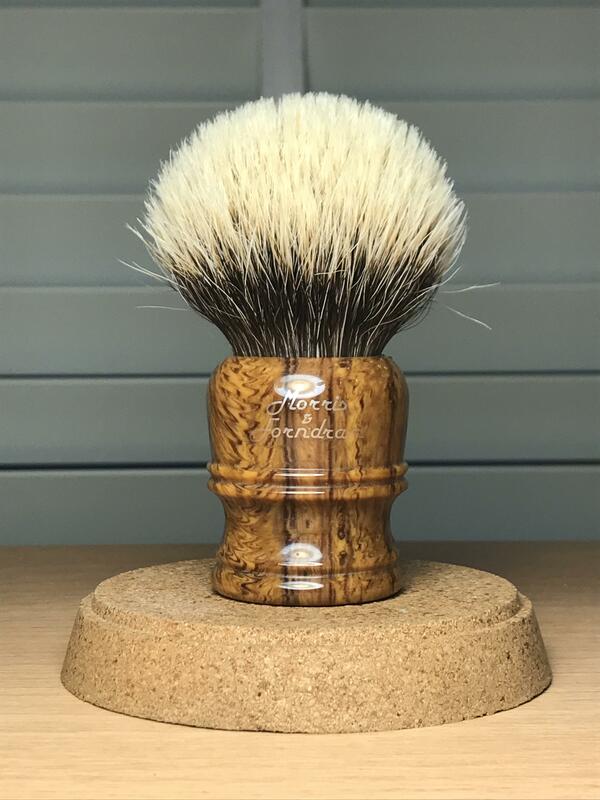 Great pics and brushes !